Jenny is the Operations Manager for Taatjes Financial Group. She is originally from Blomkest and is a graduate of Willmar High School. 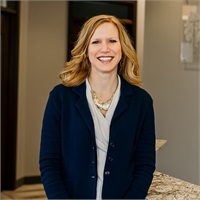 Jenny attended the University of Minnesota - St. Paul graduating with a degree in Agricultural Business with an emphasis on Commodities and Marketing. She has spent most of her career in the agricultural field from working in seed production and grain marketing, to training and promoting safety at agricultural cooperatives. Her duties include orchestrating our client appreciation events, directing all human resources activities, analyzing budget and cash flow reports, reviewing and utilizing financial data to improve organization efficiencies, setting goals for employee development and company enhancement. Jenny has acquired an Accredited Investment Fiduciary (AIF) certification. Jenny and her husband, Brice, live near Spicer with their three sons, Blake, Carsten, and Tanner.